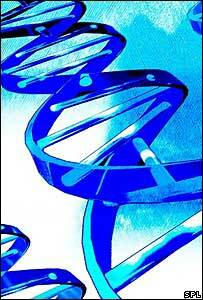 DNA computing, commonly called biomolecular computing, is an emerging field that uses DNA and biochemistry instead of silicon-based electronics. The first proof-of-concept use of DNA to perform computation was carried out by Professor Leonard Adleman at the University of Southern California in 1994. The original goal of the field was to use biomolecules to beat electronic computers at solving large complex problems. "Today, most people believe that biomolecular computing will not beat electronic computers in the foreseeable future," admitted Professor Ehud Shapiro of the Weizmann Institute of Science in Israel. Instead, said Professor Shapiro, the new goal is to try to use DNA computing to do things that traditional silicon cannot. "What we offered in our work was a different vision," he said. In particular he is trying to develop smart drugs that are capable of computation. "You want a drug that can sense the biochemical environment, analyse it and, in response, release a molecule which is the appropriate drug for that particular situation," he said. In 2002, Professor Shapiro unveiled a programmable molecular device composed of enzymes and synthetic strands of DNA. Two years later, the same team showed off another DNA computer so small that roughly a trillion of them could fit into a microlitre (a millionth of a litre). The device was able to detect signs of cancer, and release drugs to treat the disease. "This soup of DNA and enzymes implements a well know mathematical model of computation known as finite automaton," he explained. "This finite automaton knows how to do very simple computation such as recognising whether a list of zeros and ones has an even number of ones." In the case of his 2004 computer this method of computation was used to analyze ratios of specific molecules related to prostate cancer and a specific type of lung cancer. The "computer" consisted of a chain of three segments of DNA and an enzyme which could cut the strands. If the first segment of the DNA detects ratios of certain molecules that indicate the presence of cancer, it tells the second segment to release the third segment, which is an anti-cancer drug. Since then, other researchers have shown off new computational systems that make use of enzymes that naturally occur in a living cell, whilst Professor Shapiro has attempted to make a more practical device. "We have continued working in this direction trying to make this molecular system to work in living cells," he said.